Why is the South so religious? Why is it the Bible Belt? To answer that complex question we need to go back to Colonial times before the First Great Awakening. 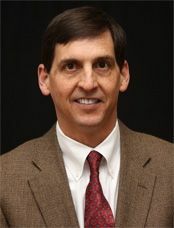 Dr. Thomas Little is associate professor of history at Emory and Henry College in Emory, Virginia and the author of The Origins of Southern Evangelicalism: Religious Revivalism in the South Carolina Low Country, 1670-1760. 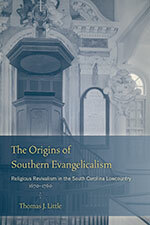 He spoke with me about the early history of religious revival in the South. Thursday, June 19th at 8 pm on WETS, 89.5. Saturday, June 21st at 1 pm on KZUM, 89.3. Sunday, June 22nd at noon on WEHC, 90.7. Sunday, June 22nd at 2 pm on WETS, 89.5. Monday, June 23rd at 1 pm on WEHC, 90.7. Wednesday, June 25th at 6:30 pm on WEHC, 90.7. Via podcast beginning June 26th.